Mission Statement The League of Women Voters is a nonpartisan political organization dedicated to public service in the field of government. It is a national organization, for both women and men, whose purpose is to encourage informed and active participation in government, works to increase understanding of major public policy issues, and influences public policy through education and advocacy. The League of Women Voters Greater Verde Valley seeks to grow its membership during 2016 in order to meet the needs of ensuring maximum engagement of eligible voters in the 2016 political process. Projects involve participating in voter registration campaigns throughout the year, organizing voter education programs on critical election issues, conducting candidate forums, organizing fun civic engagement events, and studying key issues to assist the League in developing positions on issues and proposed legislation. The League is a nonpartisan political organization dedicated to public service in the field of government. It is a national organization open to men and women. Its purpose is to encourage political responsibility through informed and active participation on government -- making democracy work. The League influences public policy through education and advocacy. The League never supports or opposed political parties or candidates for elective office. 2016 is the year to get involved. For those who may be interested in learning more and helping the League achieve its goals, there will be a new member/prospective member gathering on Tuesday, February 2nd. For information, contact Barbara Litrell 649-0135 or blitrell@aol.com. The League of Women Voters Greater Verde Valley is a nonpartisan organization that serves the communities of the Verde Valley. The League is looking for new members to help accomplish its extensive mission: to provide voter education, election information, candidate forums, and public programs on policy issues affecting Sedona and the Verde Valley. There are many opportunities to learn and to serve. Tasks are varied, such as helping with arrangements for forums, with voter registration, publicity, member recruitment, and fundraising. We also welcome donations in any amount. 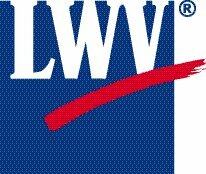 For more information, see our website at www.lwvverdevalley.com and/or call League President Ellie Bauer at 928-634-9450.